When you’re looking for a new Toyota in Newnan, GA to love from Toyota of Newnan, be sure to take a look through all of our specials here! With so many specials on new and pre-owned Toyota cars, we’re sure you’ll find something perfect for you! Once you decide on the car you love, take a look through all of our Toyota financing options and our specials on Toyota car financing. 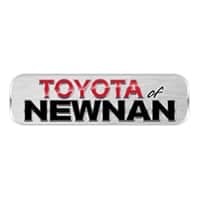 We’re looking forward to seeing you soon so contact Toyota of Newnan today!